My hair has one texture, smooth. After blow-drying, it lays flat against my head, lifeless. 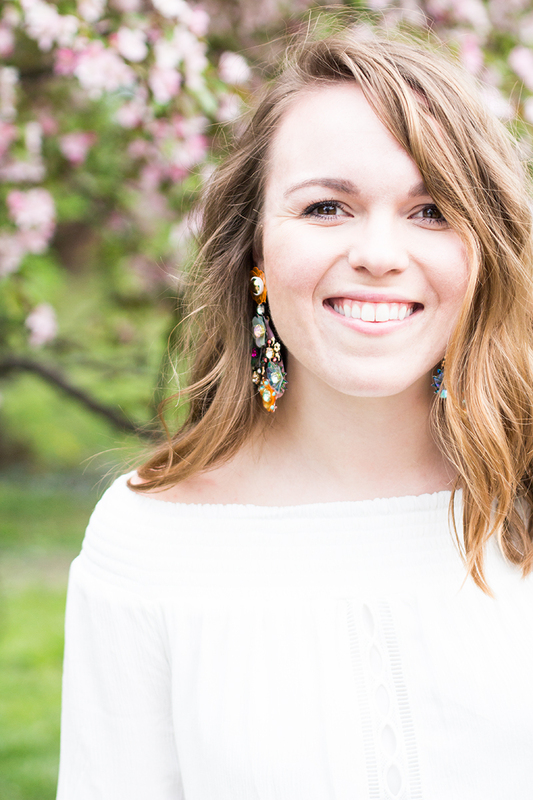 It has taken me a few years to find products that add some body and texture to my dull locks. 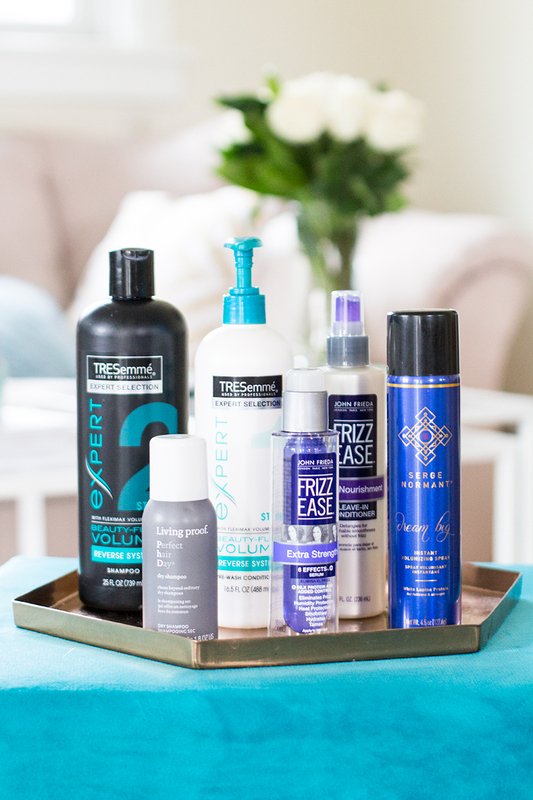 I have found multiple products that I use daily that add much more volume and thickness to my hair. I tend to be self-conscious of my 4 finger forehead...one thing that I have noticed that helps is when my hair has more volume. 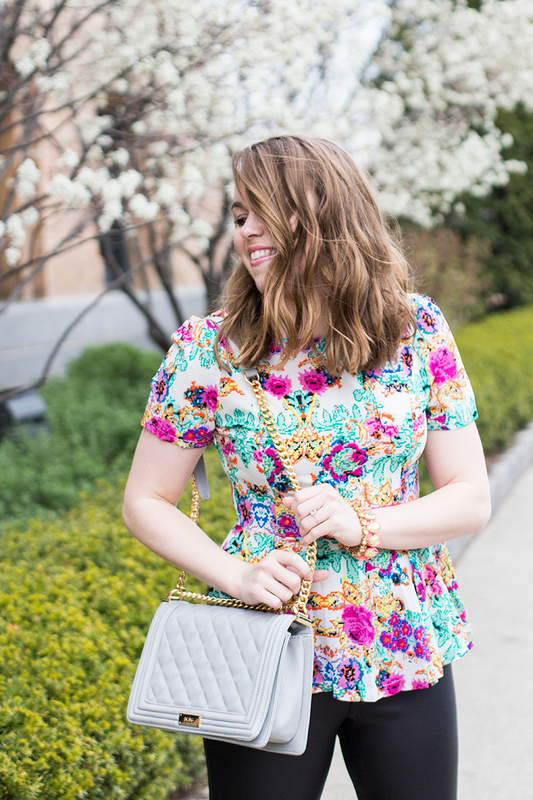 Whether it's up in a pony, straight, or curled, the more volume the better. I won't ever be able to achieve Texas-high hair on my own but these products definitely add more! I switch out shampoos very frequently. 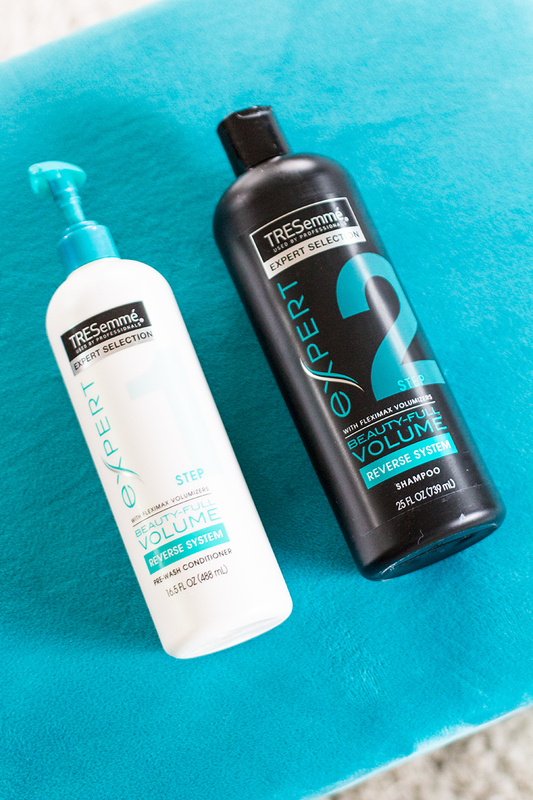 I have recently started using TREsemme's reverse step volumizing system. One thing I have noticed significantly is that my hair is a lot more lightweight. Generally, when I shampoo and condition, my hair feels heavy with product. With this, I condition first and then shampoo, and the results are very noticeable. I use these two John Freida products after I have combed through my damp hair. I also spray in a leave-in conditioner/heat tamer, it keeps my hair healthy and strong. Recently, I have started using this serum a few times a week. My hair has been so much thicker and strong. I only use a dime-size amount and gently work it through my hair, then I use a comb and blow-dry. You will be impressed to see a much fuller head of hair! 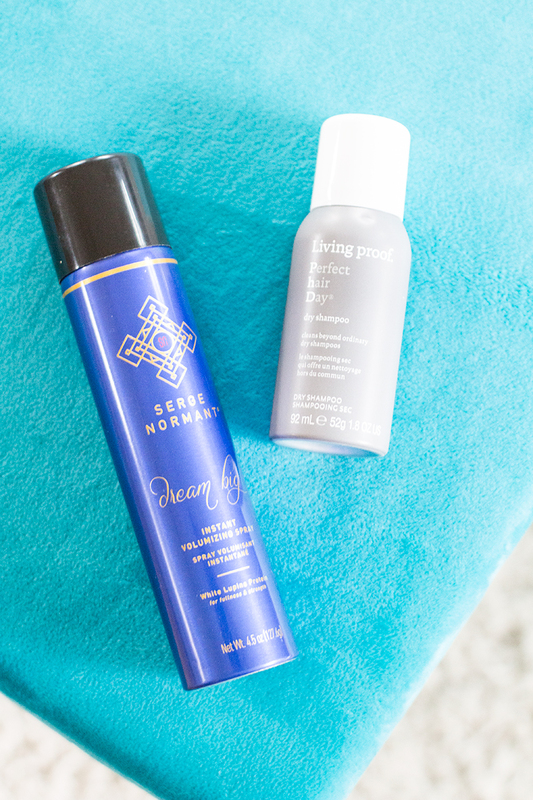 The next two products I use when my hair is dry: dry shampoo or volumizing spray. I rarely use dry shampoo because my hair gets very oily, I wash it almost everyday. This Living Proof dry shampoo though is amazing. Not only is it so much easier to work into my roots, but it gives an extra lift to my roots and keeps it oil-free. Plus it has a very fresh scent; by far my favorite dry shampoo yet. The next product is the Serge Normant volumizing spray that I use daily. I spray this on my roots and tease them a little. It adds a lot more volume and lift than just teasing. A must try if you have flat and dull hair. What hair care products do you use? Share below so I can try!